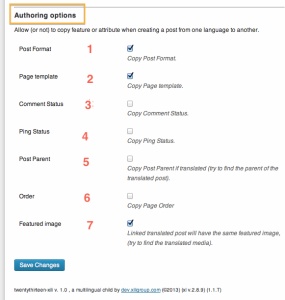 This 2013 child theme uses an improved class including features to help authors during translation. 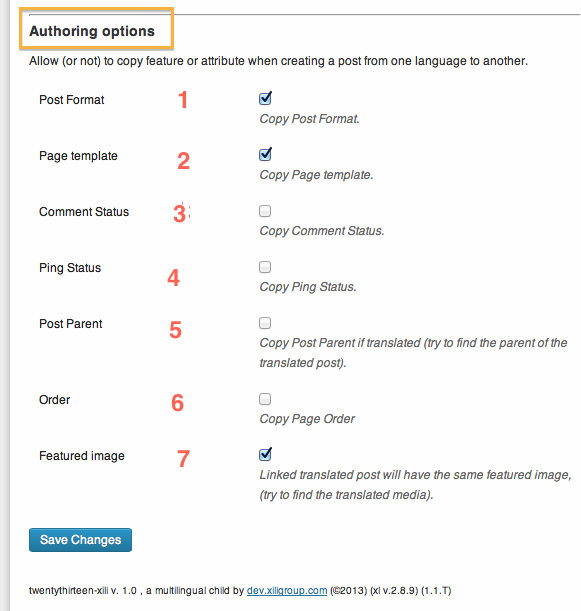 Today, by default, if you create a french post as translation from an english, all the categories are copied to the new post ready to receive the translation. Post Parent: In this case, you must be sure that the current post has a parent AND the parent has his own translation because it will the ID of this translated parent that will be copied… CMS design requires 😉 !!! Featured image: Linked translated post will have the same featured image, (try to find the translated media).